Bruce performed the song included in the Detroit medley 407 times. 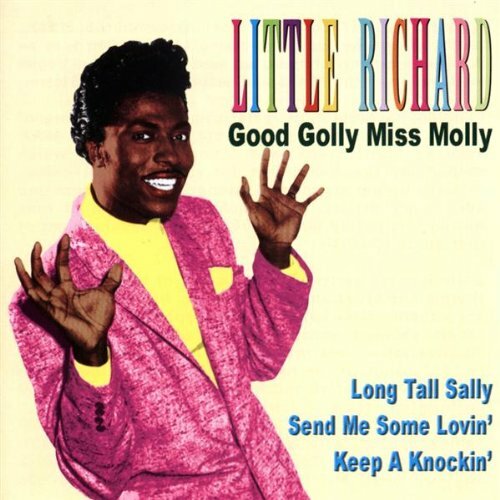 "Good Golly, Miss Molly" is a song first recorded in 1956 by Little Richard and released in January 1958 as Specialty single 624 and next in July 1958 on Little Richard. The song, a jump blues, was written by John Marascalco and producer Robert "Bumps" Blackwell. Although it was first recorded by Little Richard, Blackwell produced another version by The Valiants, who imitated the fast first version recorded by Little Richard, not released at this time. Although the Valiants' version was released first (in 1957), Little Richard had the hit. Like all his early hits, it quickly became a rock 'n' roll standard and has subsequently been recorded by hundreds of artists. Little Richard first heard the phrase "Good golly, Miss Molly" from a Southern DJ named Jimmy Pennick. He modified the lyrics into the more suggestive "Good golly, Miss Molly/You sure like to ball". Little Richard himself later claimed that he took the music from Ike Turner's piano intro to Jackie Brenston's influential 1951 rock and roll song "Rocket 88", and used it for "Good Golly, Miss Molly". "I always liked that record," Richard recalled, "and I used to use the riff in my act, so when we were looking for a lead-in to 'Good Golly, Miss Molly', I did that and it fit." Momma, poppa told me, "Son, you better watch your step"
If you knew my poppa, momma has to watch my pa herself"